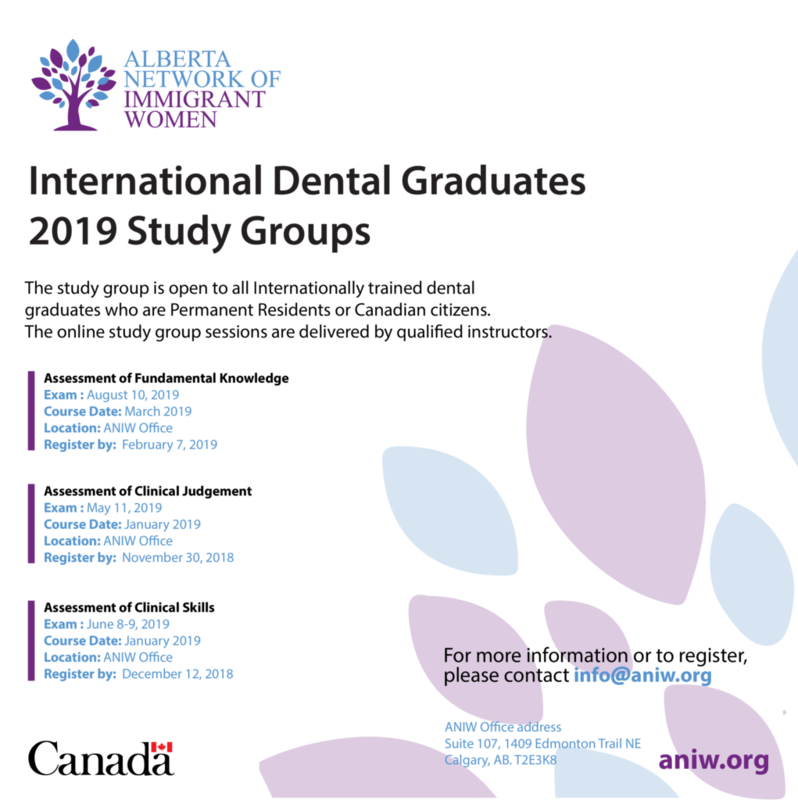 Having assisted internationally trained dentists, physicians, nurses, and engineers to enter their professions, ANIW is currently assisting international trained dentists enter their profession in Canada. Online services are provided to ITDs to complete the assessment examination set by the National Dental Examining Board of Canada (NDEB). The learning sessions are on line, discussion groups are face to face, participants out of town are digitally connected. The learning and discussion sessions to further practice critical analysis are on line. Participants need to attend the sessions in person.